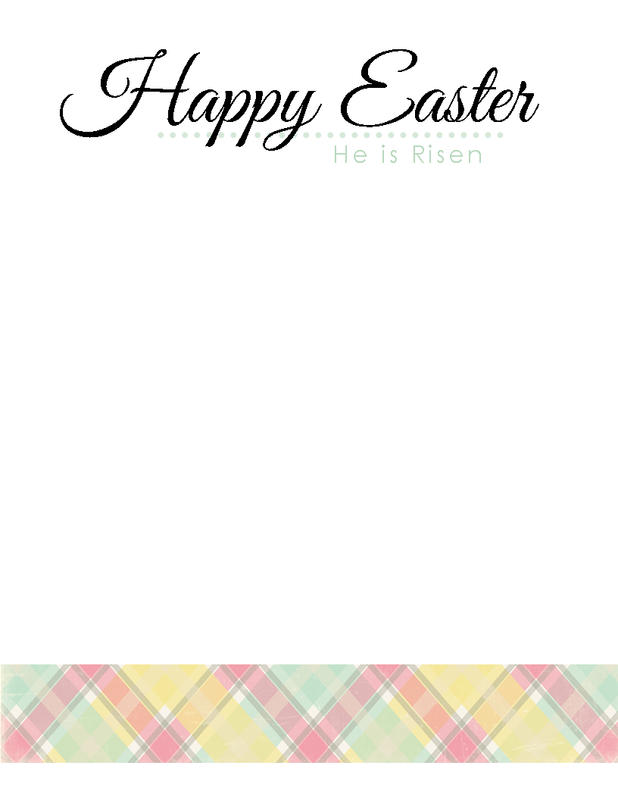 Today I have created for you printable Easter stationary. 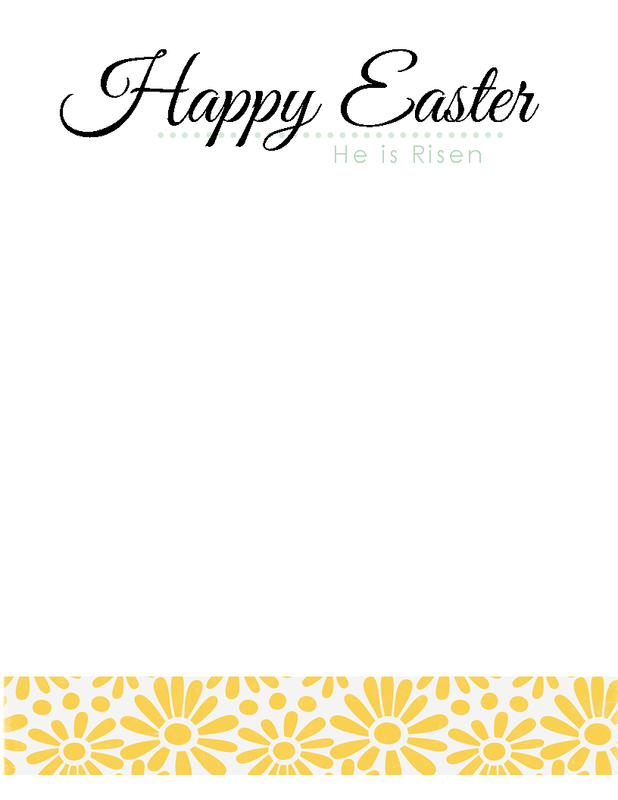 It says, "Happy Easter" with "He Is Risen" under the heading. There are three different designs on each page to keep your letter writing interesting. The picture above is what it will look like on paper. 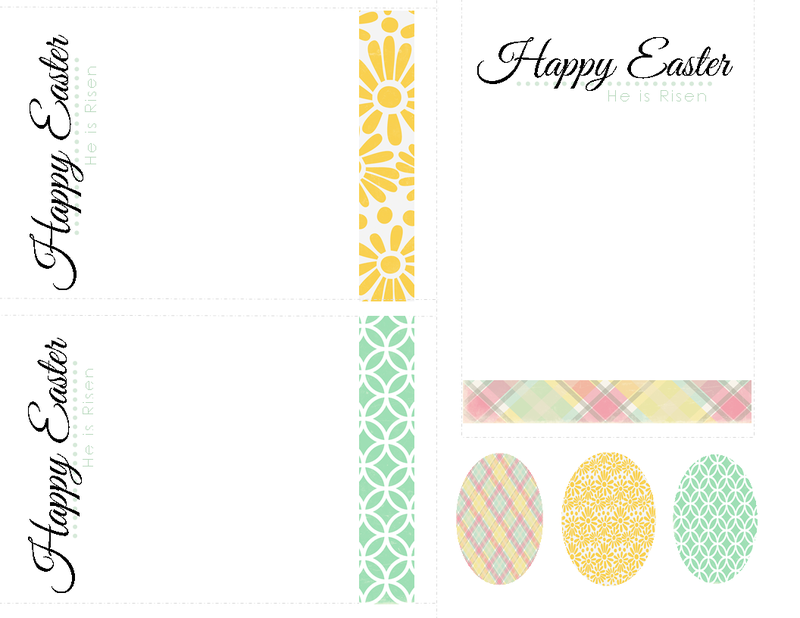 You will receive three designs plus an Easter egg of each design as well. The cards will print a little less than 4x6. 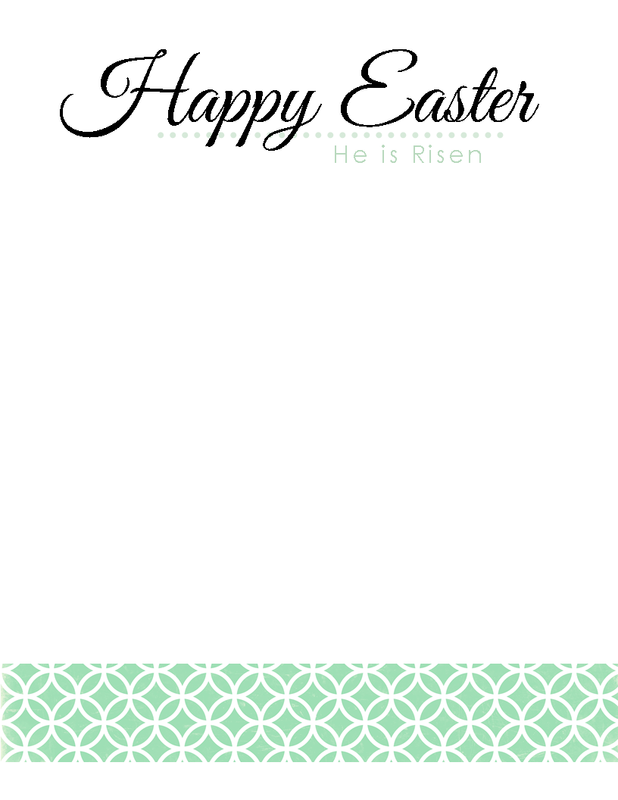 This will be perfect for a 4x6 envelope to avoid folding. 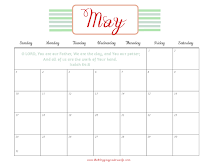 For best result use white or cream 8.5x11 cardstock. I prefer white, but cream paper should give it an antique look. FYI - If you decide to use cream it will alter the colors a bit.